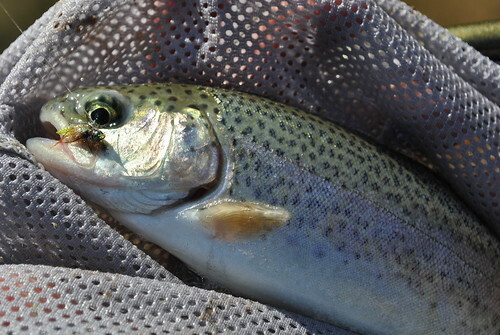 This last Sunday Emalie and I met up with my uncle Frank for some "trout fishing" at the TFFC. 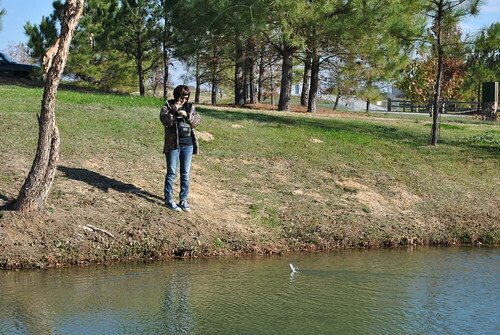 Frank was eager to learn how to cast and catch fish on the fly, so what better place to practice? 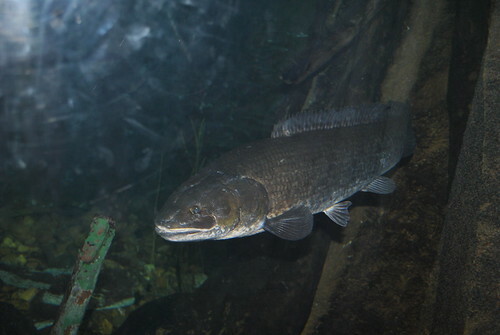 We took a tour of the museum and exhibits available and I snapped this picture of an awesome mature bowfin. How anyone could not love these thigns is beyond me. It came straight up to the glass and looked me in the eye before retreating to the back of the tank. On friday we went to see the opening of Darron Aranofsky's "Black Swan"
One of my favorite directors, I had been looking forward to the film for some time. It did not dissapoint. 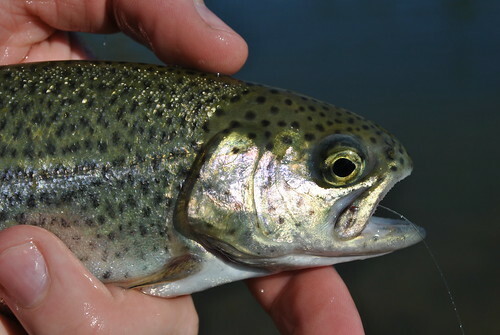 That's an awfully nice first trout. Haven't seen the movie yet. Heard there is a good scene between the to lead females. That seems to be all anyone mentions when I bring up the film. I found that scene disturbing. Then again I am not that into chicks bumpin' uglies. My youngest and I had a good day there Saturday as well. It was good casting practice. Trying to cast my 7' 4 wt in the wind, and get some distance, is a challenge for me. Did you walk the wetlands trail and go down to the fly fishing pond? We did but it produced absolutely nothing for us. We'll try to get back there before the winter is over. 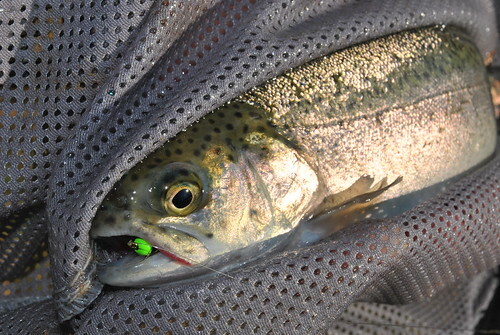 That is a great place to take someone learning to fly fish. I have yet to make it around to the back side to the fly fish only pond. Enjoy the fact that you guys still have open water! On the Chesapeake, it's the season for 4" sheet ice - too cold to NOT ice fish, to thin to ice fish. PS Aronofsky is my favorite too. 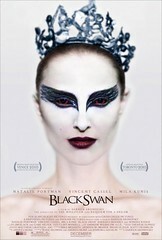 Looking forward to seeing Black Swan.